Summary This is a customizable model of the book - the Open Source Lab. 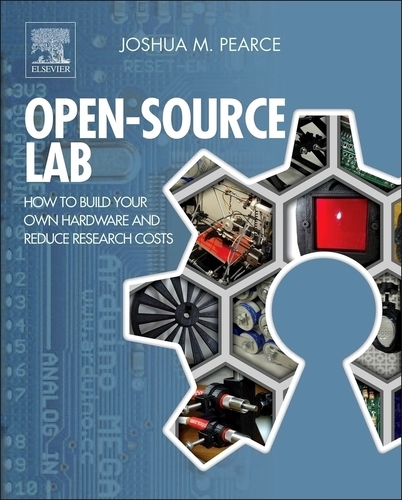 FREE access to content from Open-Source Lab: How to Build Your Own Hardware and Reduce Research Costs This guide details the development of the free and open-source hardware revolution and provides you with step-by-step instructions on building your own laboratory hardware - largely using your 3-D printer. 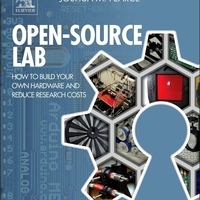 In the first two chapters displayed for free now (all chapters will be made freely available the Maker community under my contract), I define the basic terms of open-source software and discusses the rise of the open-source hardware revolution and how it impacts science before exploring five pragmatic advantages to joining the open-source scientific community for both your research in general, and most importantly, your equipment and instrumentation. Collections of the OSH designs discussed in the book are here and here Instructions You can adjust the size of the book model in OpenSCAD - of in the Customizer App here on Thingiverse. 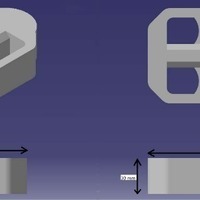 Then save the STL and print. 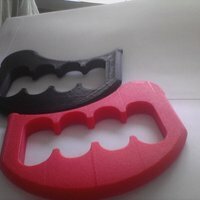 I recommend using a low fill percentage to save on filament and time. 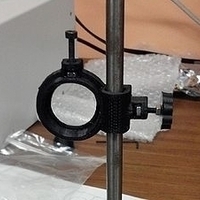 Most 3D printers only do one color now - but I am confident that when the patents run out soon - we will all be able to map pictures on our prints - such as the attached cover image of the book.